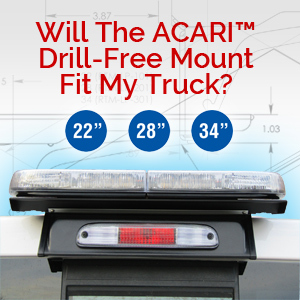 The ACARI™ LP is our Best Selling mount. A new Low Profile design, made of high grade aluminum and features a UV protected black satin powder coat finish. Drill into the Platform not Truck Cab! The mounting platform can be removed easily, restoring the vehicle to its original condition. 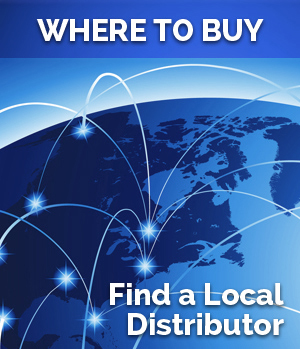 Mount Warning Lights, Antennas, GPS, and other roof top accessories without drilling holes in your roof. Simple bolt on assembly is all that is required – Clamps on to truck through existing third brake light opening. Fast & easy installation, no need to remove the headliner to mount rooftop accessories. Fully encapsulated to provide moisture and vibration protection. Weight limit for the platform is 30 lbs, we do not recommend any accessory that extends over 6 inches on either side of the platform. Vehicles listed below are shown with complete part number. They are not interchangeable with any other mounting kit. Full Part Number Ex: RTM-101-LP-12-1 = 22″ LP platform with Ram (2010-18) Mounting Kit.